Have you ever stayed awake all night thinking about how you’re going to implement Marketing Cloud in your organization? I mean, really think about it. That was me one night (or 20 nights). I am a Salesforce Admin, trying to roll out a brand-new marketing automation solution with little to no marketing experience and I wasn’t a Marketing Cloud expert myself. 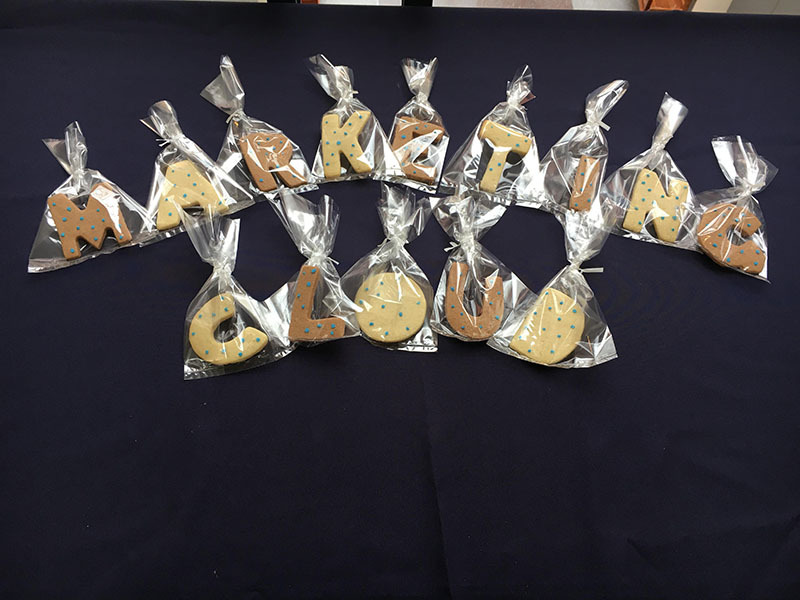 “Marketing Cloud” spelled out in cookies! I went on Amazon, purchased alphabet cookie cutters, and showed up to work with sugar cookies that spelled out Marketing Cloud. In my defense, I didn’t do this on just any normal day; I did it on the first day of our Marketing Cloud Boot Camp. What was Marketing Cloud Boot Camp? We invited our new Marketing Cloud users to help us officially mark the launch of Marketing Cloud at Maryland Smith with a one-week training camp to become “Smith Marketing Cloud Specialists.” The boot camp kicked-off on Monday afternoon and ran straight through the end of the day on Thursday. That is a lot of time to request your users spend in training, so we made sure to really think through the structure, curriculum, and had plenty of snacks. I now look back at our Marketing Cloud Boot Camp as one of my favorite weeks of my entire career. There is something really special about empowering a group of dedicated folks with the tools they need to be successful, and it was really amazing to be wrapped up in that energy (and sugar-high) for a whole week! 1. How are our users going to segment their lists? At Smith, we wanted users to build data extensions to segment their subscriber lists for all email sends out of Marketing Cloud. There are pros and cons to your main three options: upload external lists, Salesforce campaigns, or send via data extensions (there are others – but let’s not get too complicated!). This is important to know before you train your users on Marketing Cloud, so that they learn behaviors that contribute to your organization’s data goals. This defined our training module on: Segmenting Your Subscriber Lists. 2. Do your contacts you want to email live in Salesforce? This is a big question, and usually a messy one. Did you track down all of the spreadsheets hiding on desktops, and have you finalized any current integrations with other legacy campus systems that serve as your primary source of records? Since we wanted users to pull their lists from Salesforce, this was a priority. 3. Do we want users to have autonomy in sending emails themselves with no approval process? They already had this level of autonomy, so we were careful not to strip it away and create new challenges to our implementation. We did, however, decide that while users could still be in control of their email sends & content, we wanted to require they use pre-approved templates with locked headers & footers and high-quality images. This defined our training modules on both: Email Templates & Folder Storage. 5. What features should not be included in an enterprise training camp? Journey Builder. It’s too big and complicated to gloss over in a 1.5 hour module, so we decided to give it a “sneak peek” preview and allow our Marketing team to showcase the incredible sales journey they developed for our part-time MBA program to the crowd, along with a strategy/plan for departments who would likely be Journey Builder candidates. It’s important to remember that it’s not really a boot camp, so make sure it’s fun and engaging throughout the entire commitment you’re asking users to participate. We put a lot of effort into designing a methodical approach to training a new user on Marketing Cloud. There is so much to learn, and not enough time to cover it all in one week! Our contract with our implementation partner included 2 days of on-site training (a total of 16 hours), so we decided to take advantage of this and organized for them to facilitate 2 days of the training with our support. The partner who ran it also happened to be a Maryland Smith alumnus. She was instrumental in organizing the modules and offered suggestions. This ensured that the flow of the curriculum made sense for the end user. Check out a copy of our agenda. If you’re going to train a group of users on Marketing Cloud and are not sure where to start, I definitely suggest following the same order in how to introduce new features to users. Our end goal was for each participant to leave boot camp feeling confident enough to build an email list, design a personalized email with dynamic content, send that email, and track their results. Providing reference materials (both digital and physical): Every participant had a 5×7 card of important links to reference materials and reminders of where/how to get help! This was meant for them to hang up in their office for future reference. I also built a Google site which had a page dedicated to each day, and step-by-step training decks and/or YouTube videos to accompany each module. 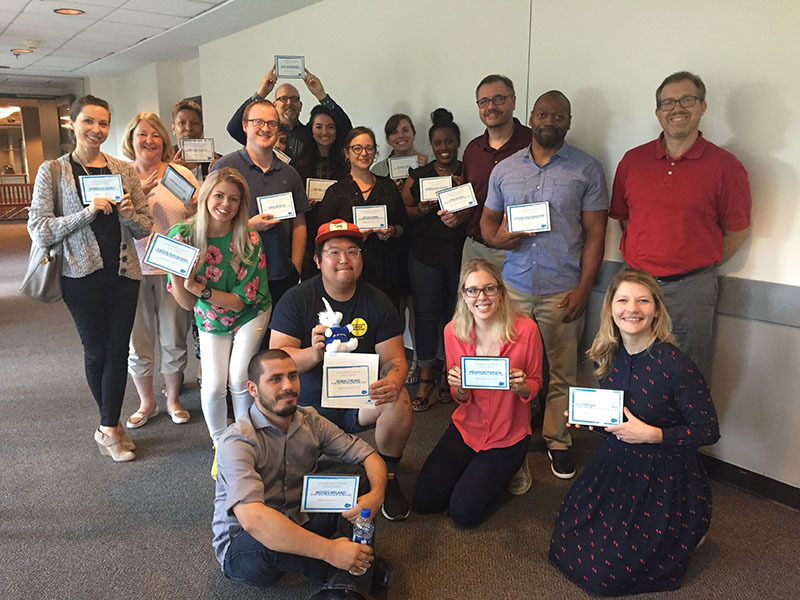 Required Trailhead Badges We tackled a module each day until all participants earned the Email Strategies Trailhead Badge. Quizzes We started each morning with a quiz on content from the day prior (to make sure users remembered really important things, like adding the contact ID to the Salesforce report to create a data extension!) and reviewed the answers together as a group. We’d also pose random pop quiz questions throughout the day, and give out swag for correct answers! Q&A Schedule enough time to make sure users can ask questions and engage in discussion within each module. Hands-On Exercises Every module had a hands-on requirement. If they learned how to build an email, they were actually building an email within the hour. Group Projects & Presentations We incorporated group projects that they had to present (for example, one group had to use Automation Studio to send everyone in the camp a happy birthday email). This was capped off with an award and big round of applause for everyone’s hard work and dedication throughout the week. Yes, we followed the “everyone gets a trophy” model. This week proved to be a fantastic launching point for 35+ new Marketing Cloud users to get started with Marketing Cloud. Participants left empowered, informed, inspired, and at least a couple of pounds heavier thanks to those cookies. 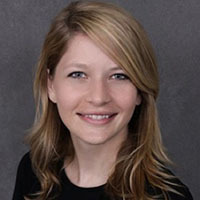 Kirsten Sands Rauscher is responsible for the University of Maryland Smith School of Business’s enterprise roll-out of Salesforce to 170+ users, serving as the System Administrator for Sales Cloud, Marketing Cloud and Community Cloud. Focused on integrating legacy data systems and business process improvement, Kirsten is passionate about putting real time evidenced-based decision-making into the hands of every staff member. 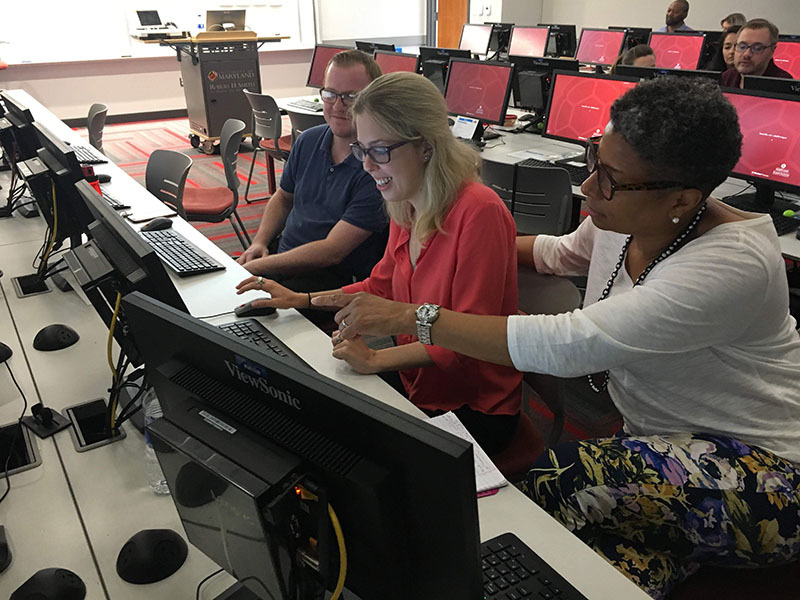 In addition to her role at Smith, Kirsten leads the Salesforce User Group for Higher Ed in the Washington, D.C. region. Kirsten holds a BA from Susquehanna University, an MA from Georgetown University, a Sales Cloud Admin 201 and Marketing Cloud Email Specialist certification. Connect with her on LinkedIn.